Diary Feb 9th 2018 - wonder of the nature and the creature: Exercise & Language Instructor Fitness journey ENDO's Walk on ! This is a plum tree my father was taking care of. 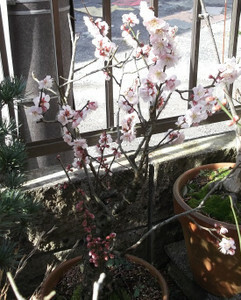 As you can see, the plum flowers got blossom beautifully, which makes me feel the arrival of the early spring.